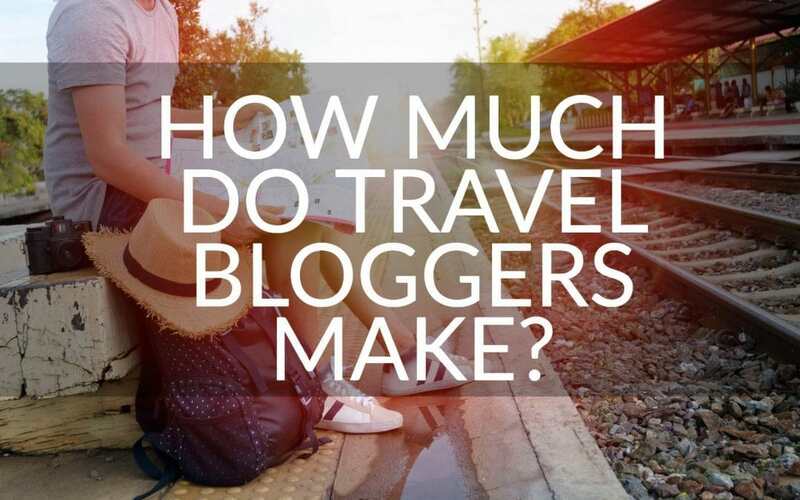 How Much Do Travel Bloggers Make? Can You Make Money With a Blog? Website Traffic is probably the most important here. The more visitors, the better your chances of making money from them. The theme or Focus of your Website's Content is crucial. A website about minimalism will be difficult to monetise for obvious reasons. Blogs about luxury goods will probably make a lot of money with good traffic levels. People that buy luxury items are more likely to purchase on a whim and shop around less than the rest of us. Visitors arriving on your site to get information and then leaving again are less likely to buy your services or click on your affiliate links than more engaged visitors. This is why monitoring Visitor Behaviour is important. The most profitable blogs are the ones that have repeat visitors, a community, and engaged readers. How Much Does the Average Blogger Make? There’s no average blogger. Some people make money on the side with their blogs. Others have teams and strategies to grow and extract as much income from their content as possible. Pat Flynn, the Smart Passive Income blogger makes $100,000 or more every single month. Yep, that’s monthly. Most of that income comes from affiliate sale commissions. Pat’s secret: starting early, blogging consistently, and being open about everything. People trust the man and happily use products he recommends. Note: These are very rough figures based on browsing hundreds of income reports, chatting with bloggers and my own research. Don’t quote me, shout at me, or hate me. You can, however, correct me if you have some genuine statistics on the subject. It’s love to hear it. Travel bloggers are no different from other types of bloggers. 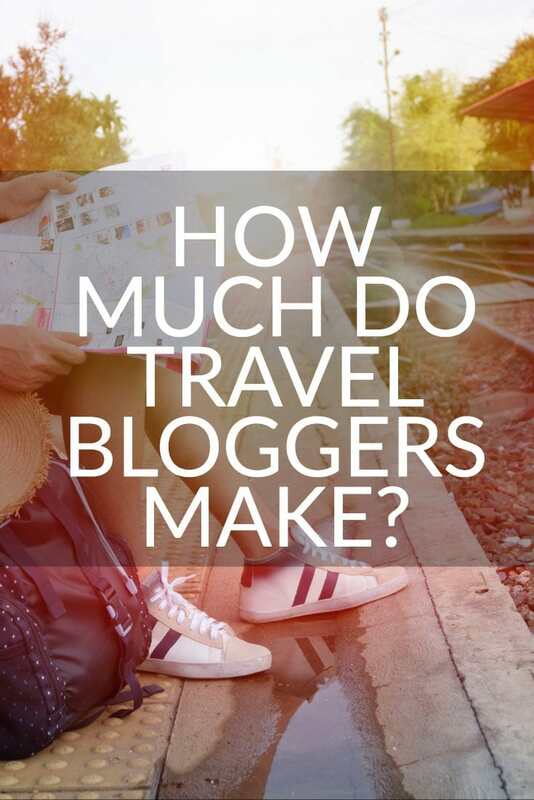 Some of the top bloggers in the world are in the travel niche. But Matt’s a super nice guy and he walks the talk so it’s worth checking out how he’s managed to grow his blog to a million dollar business. The guys over at the excellent Goats on the Road talk about how they got their blog to a six-figure online business. My neighbour in Bangkok, Johnny Ward from One Step 4 Ward made over $1.5 million from his blogging and website empire. 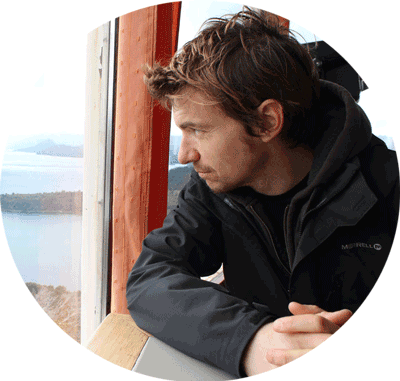 It all started with a simple travel blog that now gets over 30,000 visitors a month. He also visited every country on earth while building his brand. The Poor Traveller website focuses on budget travel but that doesn’t stop them from pulling in the big dollars. The site makes a reported $6000 a month from affiliate and advertising revenue. How do Travel Bloggers Make Money Anyway? One thing is certain, travel bloggers make money by diversifying their income streams. Unlike, say, affiliate-based niche websites that focus on Amazon affiliates entirely, travel bloggers spread the income channels. Amazon affiliate commissions – Adding links to your content to Amazon products and getting paid for commissions if people spend money on the site within 24 hours. Product sales – Your own products such as eBooks, online courses, and apps give you the best margin on sales but this kind of monetisation takes the most work (after writing content). You can also leverage the power of affiliate marketing. Setting up your own affiliate program is easy. Give a good enough commission and bloggers will sell your products for you. Works especially well with digital products. Advertisements – Adsense, fixed ads, Mediavine, Media.net, AdThrive. Put ads on your website and get paid for impressions and clicks. There are many players in the ad network area but Mediavine is the new hot kid in town. I know lots of travel bloggers that have switched or are switching from Google Adsense (the biggest network) to Mediavine. Those that saw no value in Adsense are putting Mediavine on their websites and making money right away. I don’t have any experience with the platform (this site is under the 25,000 views a month threshold) but by all accounts, people are very happy with it. Affiliate sales – Non-Amazon affiliate commissions. These commissions could be directly from a product or service owner or through an affiliate network like Awin, CJ.com, or Clickbank. Social sponsorship – As a blogger, you’ll likely have a social media presence for promoting content, connecting with like-minded individuals, and prospecting. Companies pay bloggers for shout-outs on social media. Sponsored Instagram posts, tweets, Facebook reviews or product placement and many other types of social media promotion can be lucrative. Sponsored content – This is where a company pays you to add content to your site. This content will either promote the companies product directly or indirectly with some links to their website or sales page. Press trips – This is where you really do get paid to travel. 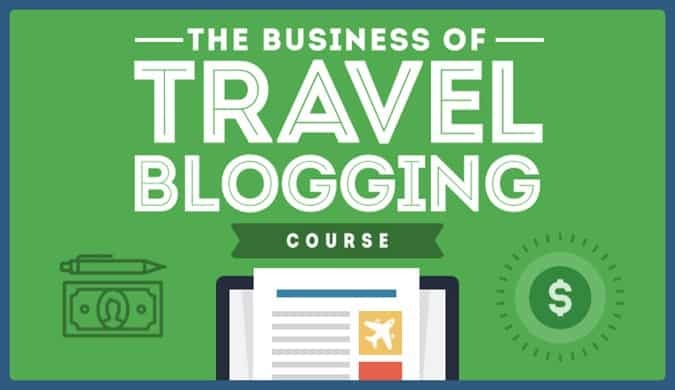 Hotels, travel companies, and tourism boards often sponsor travel bloggers in return for a write-up and social media campaign to promote their products. How Much Money Can You Travel With? That’s another big question and can only be answered if you look at your spending habits and travelling style. 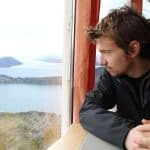 I’ve met people travelling around Asia with less than $700 a month. I don’t recommend this style of travel. It’s tiring and you’re constantly looking for the cheap option. Opportunities are missed and lots of time is spent looking for the cheaper alternative to accommodation, food, travel, and entertainment. $1500 a month in many parts of Southeast Asia (Singapore excluded) is quite possible. Thailand is one of the best places to both live cheaply and have amazing travel experiences. In some parts of Eastern Europe and South America, this figure will also be enough to live and travel on. Once your blog takes off you will have the opportunity to receive sponsorship for travel. This might be in the form of free hotel stays or free transport. This helps reduce costs even further. So if your question is “how to become a travel blogger and get free stuff?” then you might want to reconsider your career path. Travel blogging is something you do because you enjoy writing about travel. Many travel bloggers don’t accept freebies, sponsored posts, or anything else that will influence their content. They like to let things happen organically. The free stuff will come but it won’t come if you focus solely on getting it. Travel blogging is a viable business but it takes time, patience, and lots of work. Don’t expect to make money straight away. If you need to supplement your income while you build your travel blog try selling your skills on Upwork or Fiverr. This will help you support yourself until your blog is big enough to pay al the bills. As publishers with our own websites, we believe that successful monetization is all about finding the balance between ad revenue and user experience and we would never sacrifice one for the other. This is why we set our threshold at 25k sessions a month (as you already said.) Below this number, the ad revenue you’d be able to earn isn’t worth the sacrifice in user experience that happens when ads are put on a site. But with detailed and actionable posts like this, you’ll be at the application threshold before you know it! Our goal is to help digital content creators monetize their awesome content through display ads, and we aim to do this with ease to the publishers and without slowing down their sites. Sorry for the novel! If you or any of your readers have other questions, please feel free to reach out to us at [email protected]. Thanks so much again for the kind words, Keith! Thanks for the comment Jenny. I totally understand your approach to working with bloggers. It makes sense. I’ve only heard great things about Mediavine so I’m happy to put bloggers in contact with your business. Look forward to working with you in the future.